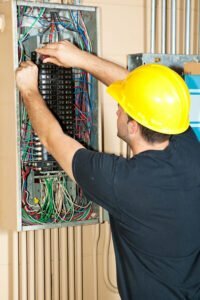 If you run a commercial space, you will understand the importance of an electrician. There are several little concerns almost every day regarding the electrical units, which can create a lot of disruption in your productivity if not fixed on time. You should have an experienced, well-trained, and efficient electrician who will have the knowledge to solve any electrical issue. We, at JPEG Inc. Electrical Contracting, can help. We can provide you with both residential as well as a commercial electrician to take care of your needs. Our electricians can install, connect, test, and even help you maintain your electrical systems in the office. We have been in this field for over 15 years now and can be reached out 24 hours a day. So, without any further delay, quickly come to us if you are from areas like Davie FL, Fort Lauderdale, Hollywood FL, Miramar FL, Plantation FL, or Sunrise FL. Here, we have put together a few tips on how to find the right electrician for your commercial space. Take a look. First of all, you should always take suggestions from your trusted sources among the friends and family regarding a few references for a good electrical company. Ask around people who have had the experience of hiring a company for this purpose. Next, you can always resort to the internet for some good references. Just search online and you will get a list of such companies. However, you have to be smart and choose wisely. Make sure you go through the customer reviews and pick the right company. Last but not the least; you can also compare the rates of different electrical contracting companies to find a few names which will serve your needs and match your budget. And if you feel that we can be the right choice for you, then quickly call us at 954-410-3995 now.